The advent of Wellness Generation paved the way for people to not just embrace healthy living but also go into exceptional lengths when it comes to maintaining the skin’s youthful glow. While there are a bunches of more invasive procedure, the non-invasive ones, I will always personally favor. Having tried the RF (radio frequency) treatment a few times, I really did not see much of a difference. But there is this new anti-aging light therapy/treatment that has caught my attention. What will Luxe Skin Rejuvenation Photofacial do me, anyway? With its Money-Back Guarantee, it promises to reveal a more youthful and luminous complexion. 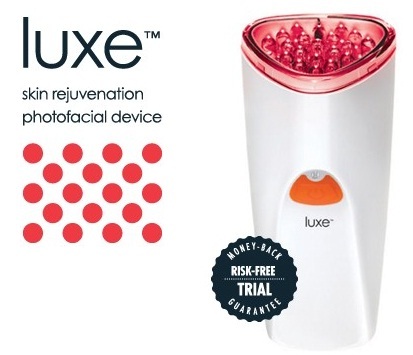 This is also a brand new technology, I concur, even as this is the first time I have encountered a beauty device that uses super luminous LED that delivers concentrated beams of red light that creates a fractional phototherapy effect. It also makes use of sonic vibration and gentle warming through a massaging treatment head.